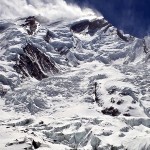 The first man to attempt an 8,000er was the British climber Albert Mummery, who attempted 8125m Nanga Parbat in the Karakoram (in what is now Pakistan) in 1895. Mummery was an exceptionally gifted rock climber who pushed the boundaries of mountaineering in the Alps, putting up many new routes and pioneering the practice of climbing without guides. He invented a particular type of lightweight silk tent which became very popular with other mountaineers and bore his name, and was unashamedly an advocate of climbing for its own sake rather than a scientific purpose. The Mummery Crack on the Aiguille du Grépon is named after him (though not after a part of his anatomy). He was a controversial figure, and despite being one of the best mountaineers of his day, he was initially refused membership of the Alpine Club because his habit of climbing without guides was thought to bring the sport of mountaineering into disrepute. He was also the son of a tanner who was considered to work “in trade”, which may not have sat comfortably with the somewhat class-conscious membership of the Alpine Club. Even more controversially (at least by today’s standards) Mummery was famous for describing the three stages of “conquest” of a mountain, whereby climbs become easier with each new ascent. 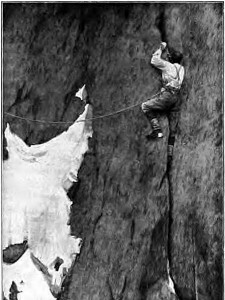 Surprisingly for his time, Mummery sometimes climbed with his wife, and perhaps even more surprisingly she never once considered “doing a Joe Simpson” and cutting the rope while he hung over a crevasse. While he felt at home in the Alps, Mummery was completely out of his depth on Nanga Parbat, and the boldness that had turned him into a pioneer on European peaks became his downfall in the Himalayas. 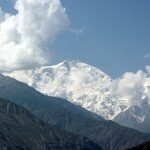 In 1895 nothing at all was known about climbing mountains of that altitude, and Mummery had no appreciation of the enormous scale of Nanga Parbat, or how the reduced oxygen level would affect his performance. He assumed he could employ the same lightweight climbing methods which had worked for him in the Alps. He assessed the mountain only in terms of objective climbing difficulties. “I don’t think there will be any serious mountaineering difficulties on Nanga,” he wrote to his wife on July 17th after examining the 4500m Rupal Face, a giant precipice which made the Aiguille du Grépon look like an amble up Primrose Hill with an umbrella. By August 9th he was confessing that “the air certainly does affect one”, which is rather like a cross-channel swimmer confessing the water affects one when setting out across the Atlantic. Except, of course, it was the lack of air which was affecting him. “The air is so baffling,” he said in another letter. His climbing partner Norman Collie finally convinced him the Rakhiot Face, which they had been attempting, was beyond them. Collie proposed walking around the north side of the mountain to reconnoitre another route. Mummery agreed, but instead of taking the obvious route along a couple of valleys and over the intervening ridges, he decided to take a shortcut over a high glaciated pass called the Diamir Gap, a name which in itself suggests an absence of something important. In Mummery’s case this proved to be a dose of good mountaineering sense. Taking two Gurkha soldiers, Ragobir Thapa and Goman Singh, with him, he left Collie to lead their porters round the easy way and arranged to meet them in a few days’ time. Neither he nor the Gurkhas were ever seen again, and when Collie reached the other side of the pass he could see that a descent on that side was inconceivable. It is likely all three died in an avalanche before they even reached the pass. If Mummery was a few spikes short of a crampon, he had nothing on the next man to attempt an 8000er in 1902. Aleister Crowley’s expedition to K2 (8611m) got off to an inauspicious start when he had an altercation with expedition leader Oscar Eckenstein (who pioneered the modern 10-point crampon) about whether they should hire a porter to carry his multi-volume occult library up the Baltoro Glacier. 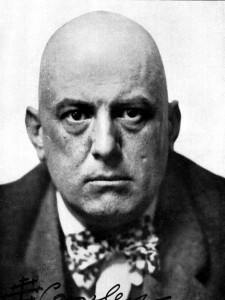 Born in 1875 to wealthy parents who were followers of the obscure Christian sect the Plymouth Brethren, Crowley rebelled against their puritanical ways from an early age, and gave himself the sobriquet The Great Beast 666 to draw attention to his occult leanings. He joined the Hermetic Order of the Golden Dawn, a secret organisation of occult magicians, but also took up rock climbing and became a pretty good mountaineer. 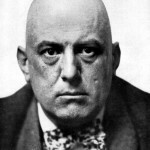 Unlike Mummery, Crowley exhibited a bit more wisdom when it came to climbing big mountains. On K2 he experienced a brief moment of sanity when he identified a feature now known as the Abruzzi Spur as the best line of ascent. The Abruzzi Spur is now K2’s standard route. Later in the expedition Crowley pulled a revolver on his team mate Guy Knowles. 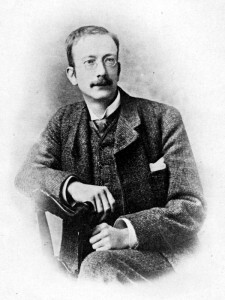 Knowles was able to apply his knee to Crowley’s tenderest region before the sorcerer was able to squeeze the trigger, but group cohesion suffered irreparable damage and the expedition descended into farce. Crowley returned to the Himalayas in 1905 to lead an expedition to climb another 8000m peak, Kangchenjunga (8586m), but his reputation as a mountaineer suffered irreparable damage after four of his companions were killed in an avalanche while descending a snow slope Crowley had cautioned them to avoid. Instead of descending to help, he rolled over in his tent and went back to sleep. The following day he descended past the bodies without bothering to look for them. “A mountain accident of this sort … I have no sympathy [for] whatsoever,” he later wrote. With his mountaineering career in tatters, Crowley had the consolation of occult wizardry to return to, as well as becoming father to young Nuit Ma Ahathoor Hecate Sappho Jezebel Lilith Crowley. In 1904 he was in Cairo when a discarnate being called Aiwass appeared in a dream and dictated to him the entire text of the Liber al vel Legis (The Book of Law). This meant that for the rest of his life he had the great responsibility of being high priest and keeper of the Holy Books of Thelema. He died in 1947 after his doctor discontinued the morphine prescription for his asthma. The doctor died less than 24 hours later, and there was a rumour his patient had put a curse on him from beyond the grave. Crowley was later immortalised by Iron Maiden in their song Number of the Beast, and appeared on the cover of The Beatles’ Sergeant Pepper album. There aren’t many mountaineers who can say that. Feel sorry for the Duke of Abruzzi, who is expected to follow that. By now the race to climb an 8000m peak was well and truly underway. In 1909 Luigi Amedeo Giuseppe Maria Ferdinando Francesco di Savoia-Aosta (try saying that when you’re suffering from altitude-induced hypoxia) organised an Italian expedition to K2. His name was a bit of a mouthful, but luckily he had another one, the Duke of Abruzzi. 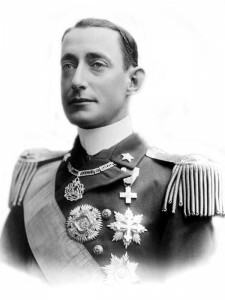 He was the grandson of King Victor Emmanuel II of Italy, and his father was briefly the king of Spain before being forced to abdicate after the army went on strike. Despite his royal upbringing the Duke was an accomplished mountaineer, having climbed with Mummery in the Alps, made the first ascent of Mount Saint Elias in Alaska, and led an astonishingly successful expedition to Uganda’s Rwenzori Mountains in 1906, during which he made first ascents of all its principal peaks. On his Alaskan exploration he had insisted on having iron bedsteads carried up the Malaspina Glacier, but on the trek up the Baltoro Glacier to K2 he condescended to sleep on an air mattress. Despite this, Abruzzi’s expedition was organised on a grand scale and set the stall for the huge siege-like national expeditions to the Himalayas that were to follow for much of the 20th century. Unlike Mummery he wasn’t going to make the mistake of treating K2 like a much smaller Alpine peak. Although they were never close to reaching the summit, they reconnoitred the eastern and western sides of the mountain, climbed to 6300m on the Abruzzi Spur, K2’s standard route which now bears the duke’s name, and reached the 6650m Savoia Saddle. As you can see, one of the benefits of having a ridiculously long name is that it provides a lot more scope for having places named after you. 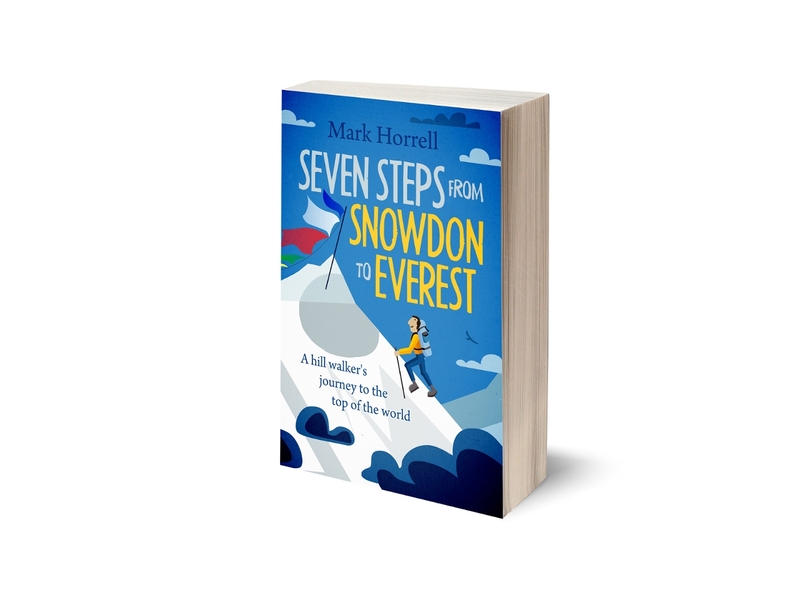 A heavily-edited version of this post appears in my book Seven Steps from Snowdon to Everest, about my ten year journey from hill walker to Everest climber. Although primarily a memoir, the book contains a good bit of mountaineering history to provide some background to my climbs. It was published as an e-book on Amazon last Monday, and will be available in other e-bookstores from next Monday, 16th. See my book page for a list of stores where you can buy it. You can also whet your appetite by reading the complete prologue from the book here. ← Seven Steps from Snowdon to Everest out on Monday!